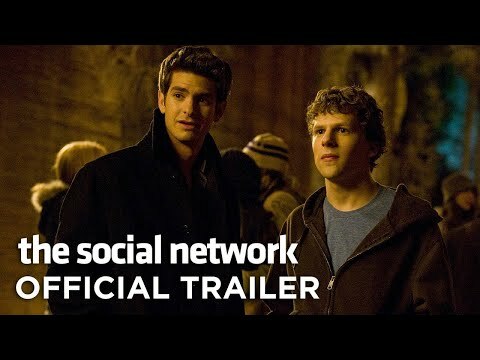 Linked below is the trailer for “The Social Network”, which has hit the top of the box office. It outlines the creation of Facebook by Mark Zuckerburg, a then Harvard sophomore, and the amazing instant success of the site. I just watched this movie a couple hours ago and instantly thought about linking it to class 8 when we learned about social media and it’s growing profitability for companies. Growing up in the twentyfirst century, social media has become a huge part of our lives. Almost everyone I know has a facebook page. 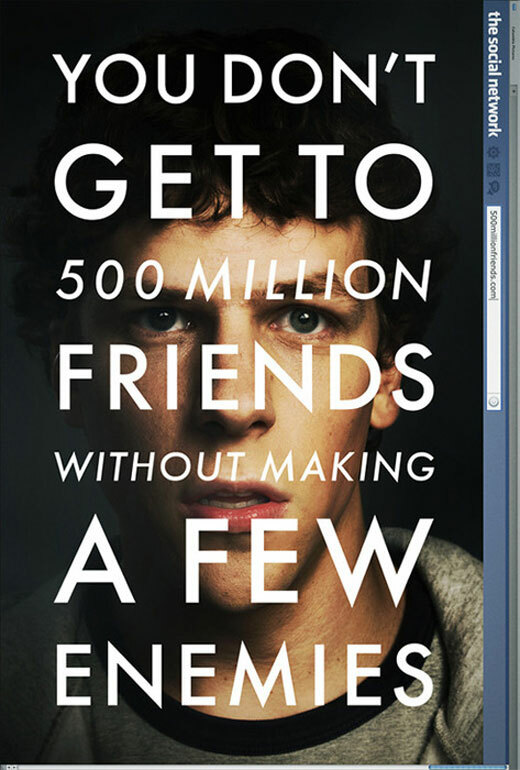 The movie aims to show how a simple idea, which led to the creation of facebook, is powerful, and although the protagonist didn’t have a strategy going in to make money, the site is now worth an estimated 25 billion dollars. There is a lot of money to be made through social media, and this is why companies are now shifting to match the needs of online communities. But of course with the internet comes risks. Mark Zuckerburg was fined millions of dollars for “stealing” the original idea of facebook. The industry is deceiving, and intensely competitive. However, the companies who can successfully promote and connect with consumers through social media find themselves profitable because in today’s age, opportunities lie within the online community, and the connections to the people are in the hands of social media. As of July 6th, 2010, the former General Motors Place has been renamed the Rogers Arena after Rogers Communications took sponsorship of the building that houses the Vancouver Canucks. When I first heard of this news, I was quite surprised. I may have even laughed. For as long as I can remember, GM Place has always been GM Place. Honestly, I don’t even think I considered GM to represent General Motors, “GM Place” was just the name for the building I went to watch hockey games. I, as someone on the outside, do not think very much about the company who sponsors the building, so making the switch to Rogers Arena will definitely be an awkward one. I still call the Telus World of Science “Science World”, and the name has been changed for over 5 years now! According to an article I found in The Vancouver Sun titled Rogers Plants Flag in B.C., the reason Rogers decided to sponsor the Canucks home was it would “demonstrate to everybody we’re committed to the West, committed to British Columbia” as well as “committed to the sport [of hockey]”. Ultimately, Rogers wants a larger share of the Western business market, emerging as a leader, and they believe having their name on the sports area will propel them to do just that. We’ll see. According to another article, Rogers Arena new name for former General Motors Place, General Motors was paying an estimated $800,000 per year to sponsor the building. Hopefully Rogers’ efforts will pay off in the end. Glancing around the classroom, I notice that half the class owns a macbook. Why is this the case? Also, I can safely assume that at some point or another, 90% of the class owned an ipod or an iphone. Thinking back five years ago, seeing someone with a Mac as opposed to a PC was quite rare – now, some may even call owning a Mac a necessity! Disregarding the fact that for the same amount of memory in an ipod or Macbook, you could buy an equivalent product for a fraction of the price, the Apple logo seems to be the way to go. So what makes Apple so fantastic? Taking the iphone as an example, the points of parities to other cell phones, smart phones specifically, are the browser, camera, email, games and applications, etc. However, the points of difference for the iphone 4 are facetime and the easy-to-use full touch screen. Comparing the iphone to a Blackberry smartphone, one may prefer the Blackberry because of its qwerty hardware keyboard, designed and focused for fast email typing, and it’s major point of difference, BlackBerry Messenger. But according to an article from the Vancouver Sun, Apple is coming out with an iPhone Case that Offers a Flip-Out Keyboard. The BlackBerry keyboard is now diminishing as one of it’s points of difference as the article describes the case as a “faux BlackBerry”. Might Apple be becoming more of a technology giant than it already is? 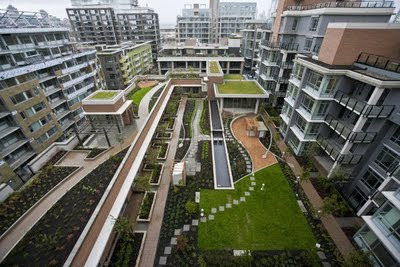 British Columbia and the city of Vancouver once had high hopes for the sales of the Millennium Water development, formally the Olympic Village built to accommodate the athletes for the 2010 Winter Olympics. Now, however, the 737 units have still not all been sold, with the value of the units declining 15-25 percent. Class 3 of Comm101 discussed the importance of ethics in business, and I have a lot of respect for the mayor Gregor Robertson after reading an article about the social housing units he promised in the Olympic Village. “Vancouver Mayor Gregor Robertson said the city will proceed, if necessary, to find operators for social housing units at the Olympic village without the logistical assistance of the province.” was adapted from Olympic village social housing will proceed despite lack of provincial aid. Although BC housing doesn’t look to be funding the social housing project, the mayor insists on continuing on with the plan, because he feels it would be very unethical otherwise. It is very unfortunate what has happened to the prospect of social housing in Vancouver – 10,000 people are on the waiting list for social housing and yet all the bids for suitable operators have been rejected by the B.C. Housing Minister. I have found a new respect for the mayor of Vancouver because despite these drawbacks, he still insists on going through with the original social housing plans, additional funding or not, because what truely matters to him is to “get people into these units before winter”.